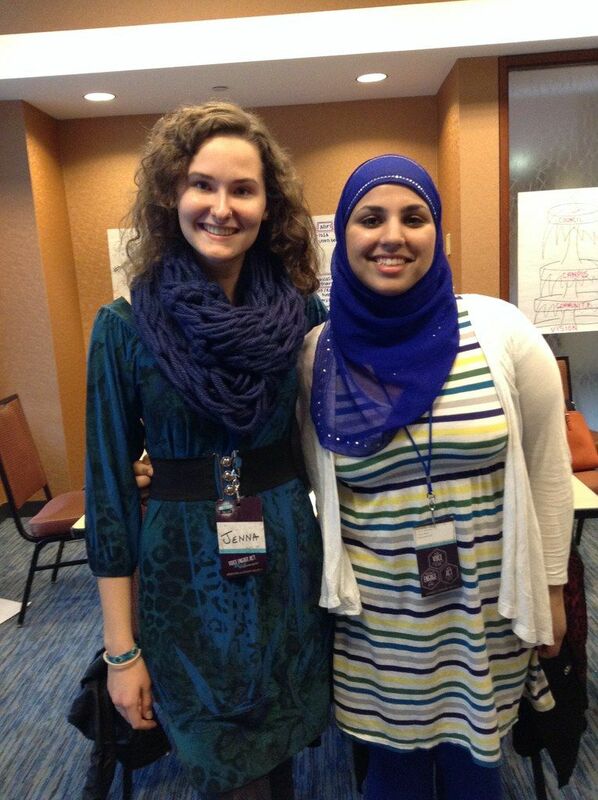 Two Salem students attended the Interfaith Leadership Institute in Atlanta, Georgia, January 31 – February 2. Jenna Nodine, a sophomore from Charlotte is studying teaching, school and literacy, and Sumaiya Nazli is a first-year student from Lexington, planning to major in Biology. Together, they networked with other Interfaith representatives as they worked towards a common goal of strengthening Interfaith programs across the United States. This event was sponsored by the Interfaith Youth Core (IFYC), which supports Salem’s Interfaith Council. The IFYC strives to promote religious tolerance and connectivity between different faiths, while establishing common action for the common good. During the conference, our Salem representatives assessed the current Interfaith program on campus to pinpoint strengths and weaknesses and brainstormed ways to increase awareness and participation within our campus community. Attendees came to Atlanta from all over the United States, from both public and private educational institutes. “It was inspirational for us to meet college students from all over the USA that had a passion for Interfaith work,” said Nodine.